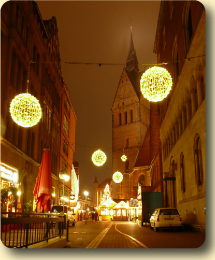 Hannover's Christmas market takes place at the historical old quarter around the Market Church and on the Ballhofplatz. Visitors looking for a real Christmas experience are spoilt for choice here, with no fewer than 150 attractively decorated stalls selling Christmas tree decorations, carved items, wooden toys and lovingly produced craftwork. The children's programme features a puppeteer and a storyteller. 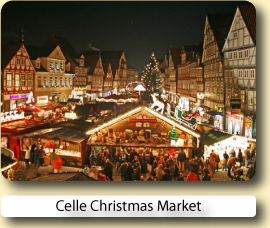 Additionally there are a further two great Christmas Markets in Hannover. For a journey back in time you could explore the historical Christmas village where you will find a wide range of medieval glassblowers, skilled potters and traditional candle makers. For an original Finnish Christmas Market experience the Ballhofplatz square is only a short stroll away, here you can buy and taste all the delights from a country where Farther Christmas allegedly has his home. 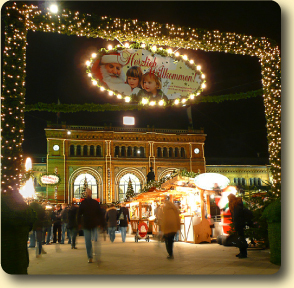 The Finnish Christmas market also offers specialities such as “Flammlachs” (grilled fish) and “Glögi” (mulled wine). A additional highlight is the "Wishing Well Forest". Within the forest, made out of more than fifty real fir trees on a site of 400 square meters, you can find the Oskar-Winter-Fountain with its "Wishing-Ring". The legend says turning the ring will make wishes come true. Needless to say that within the forest cosy huts are waiting for visitors to serve with culinary delights. With its three Christmas markets, a varied range of cultural activities and unlimited opportunities for Christmas shopping, Hannover is the ideal destination for a trip! 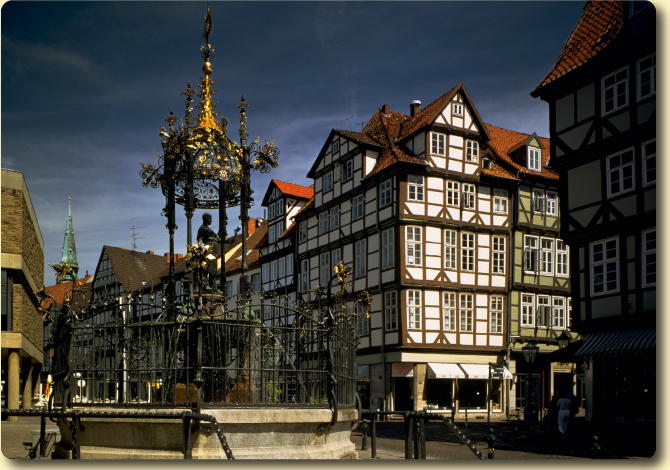 Hanover offers its visitors diverse and attractive worlds of experience. The Herrenhausen Gardens, the Eilenriede city forest, Maschsee Lake and the river Leine reveal the city’s green side, offering the ideal venues for joy and relaxation. The Old Town Hall and Marktkirche church, most southerly examples of North German brick Gothic architecture, set in a picturesque corner of town surrounded by medieval timber-framed buildings. 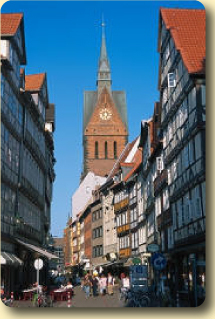 Visitors can relax and enjoy the many pavement cafés and typical Lower Saxony bars and restaurants. Every year, top-class stage performances and art exhibitions, as well as a large number of museums and buildings of architectural interest attract lovers of art. As a city of trade fairs, events and sport, Hanover demonstrates its international focus. Event highlights such as the Maschsee Lake Festival, the International Fireworks Competition or the Marksmen´s Fair draw visitors from all over the world. The lively city centre with its impressive shopping boulevard and the charming Old Town with its narrow streets and secluded corners on the banks of the river Leine invite you to shop and enjoy yourself. In its exceptionally large traffic-free shopping area, Hannover has a wealth of stores offering a great selection of goods to suit every taste and pocket. As well as the well-known department stores, exclusive shopping streets and arcades, there are plenty of boutiques and quiet little shops in the old quarter to guarantee shopping heaven. Best Budget hotel we've ever stayed in. Staff were very welcoming, room was brilliant and breakfast was fine. Highly recommend it! This boutique style hotel was a real change from the run of the mill chain hotels on offer. 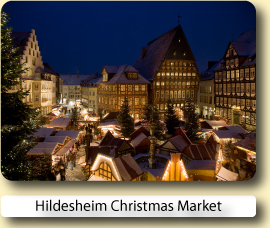 Perfect as a base for visiting the christmas markets. Very good location. Old building but recently refurnished. Very closed to train station and underground. Very good for shopping and town explorers. Clean rooms and friendly reception staff. The hotel was clean, service was good, location was easy walking distance to the center of Hannover (including the train station). 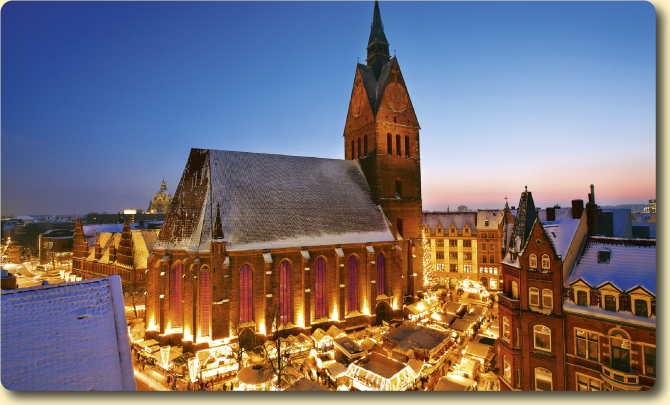 Book your hotel for the Hannover Christmas Market with Expedia or Hotels.com.Both online reservation services will let you compare and book hotels at great low prices.